The Birmingham Chapter of the American Association of Blacks in Energy (AABE®) is one of nine chapters within the Southeast Region of the organization, not including five student chapters. Our member companies include (but are not limited to): Kinder Morgan, Inc., Southern Nuclear, Diversified Supply, Inc., and Magnolia River Services, Inc. 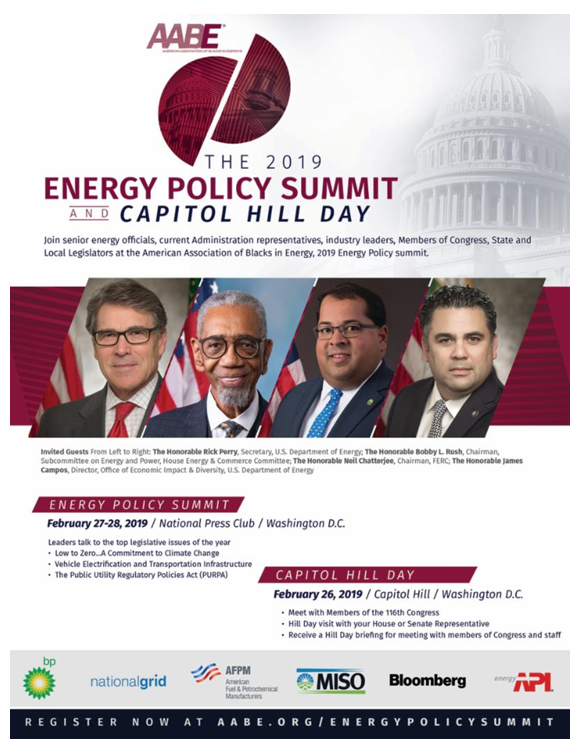 Minority professionals in all energy and energy related disciplines (oil, gas, electricity, nuclear, renewables, government, technology, energy services, and water) are welcome to join and give our membership a broader knowledge about the industry when topics arise. College students at accredited institutions studying energy-related fields are also encouraged to participate in AABE Student Chapters. Our mission is to provide energy professionals, executives, entrepreneurs, and students a pathway to learn more about the energy industry through education, mentoring, community service, and business networking. 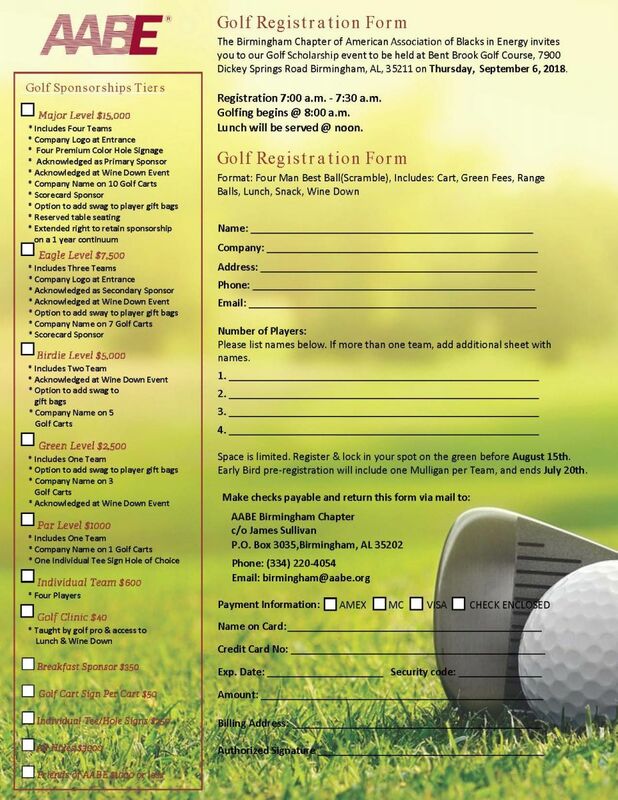 As you navigate through our website, please take the opportunity to view information about our mission, executive officers, committees, scholarships and calendar of events. 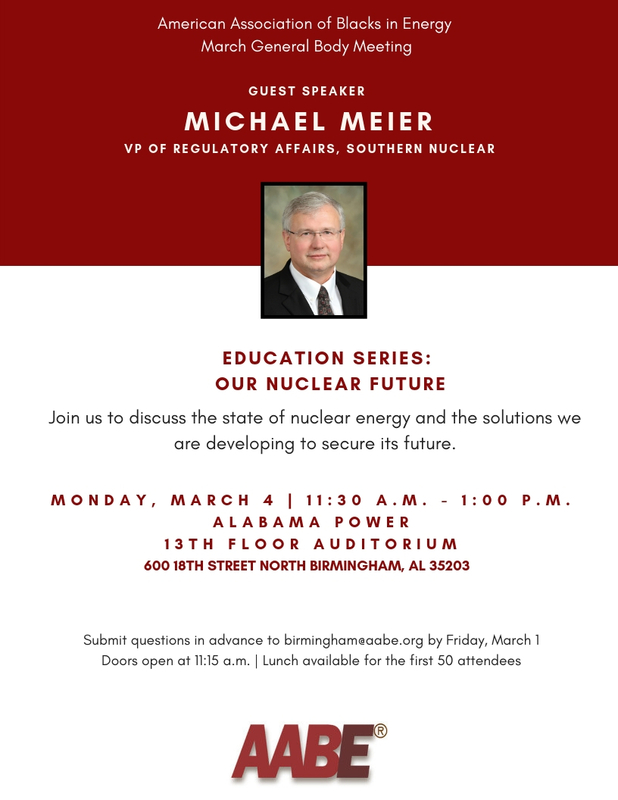 I look forward to your participation in AABE. 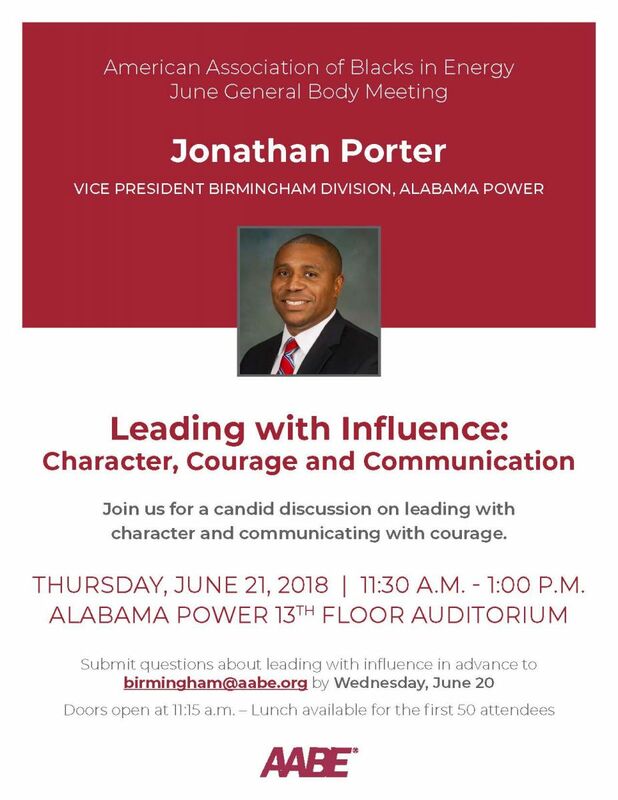 Join AABE Birmingham Chapter at the link below! We had a great June 2018 general body meeting! 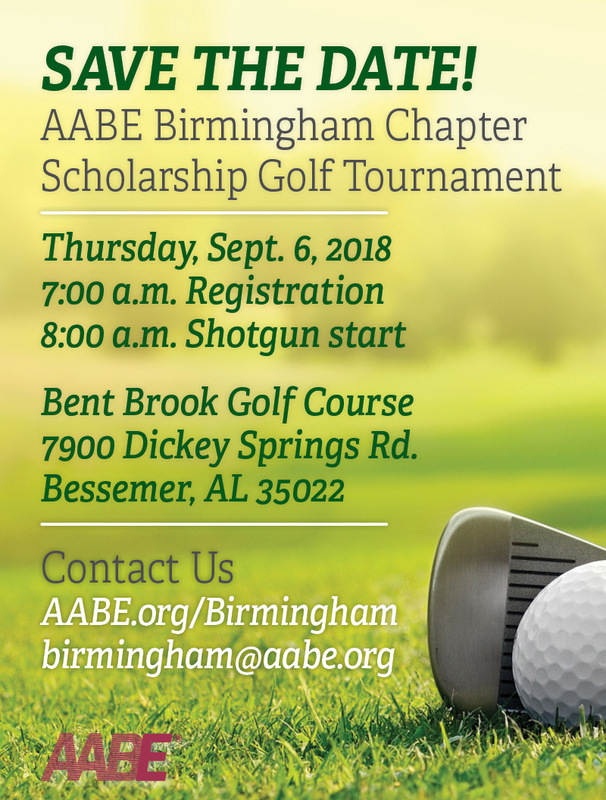 To make donations to AABE Birmingham Chapter Scholarsip Fund please use the link below.